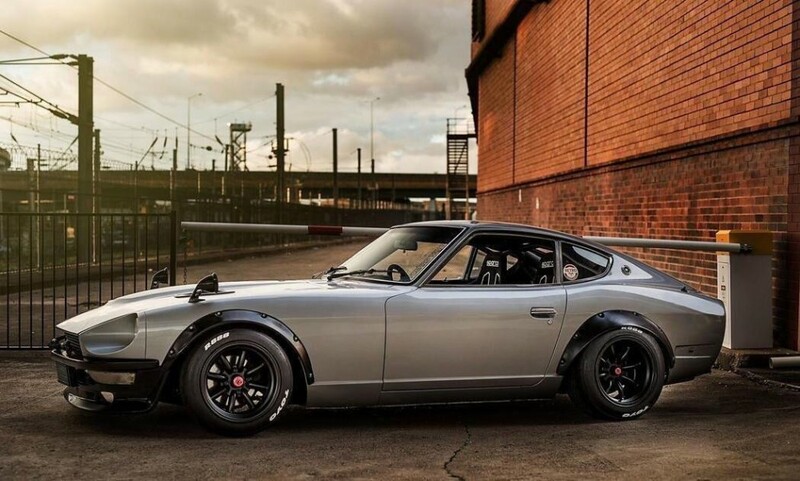 The Datsun 240Z was released in '69. It would go on to become the best-selling sports car of the Seventies. It was proof positive that Japan could be in the top echelon, when it came to automotive design. That was due, in no small part, to Yoshihico Matsuo - head of Nissan's Sports Car Styling Studio. The 240Z was not just about looks, though. Its mean and lean straight six motor saw to that. It transported the 'Z' to a top speed of more than 125mph. An impressive 151bhp was on tap. Capacity was a sizeable 2,393cc. That all added up to an ear-splitting exhaust note! The Z had a 5-speed manual gearbox. And all-independent suspension - struts up front, strut-and-wishbone at the rear. Rack-and-pinion steering was positive and precise. Interior trim was not plush, as such - but the Z was comfortably enough equipped. Build quality let the side down a tad. Rust took too many Zs before their time! 156,076 Zs were built - up until '78. A lowish price tag - relative to its European rivals - of course helped the car's cause. The Datsun 240Z, though, was a pukka 2-seater. Japan was well and truly plotted on the world sports car map!